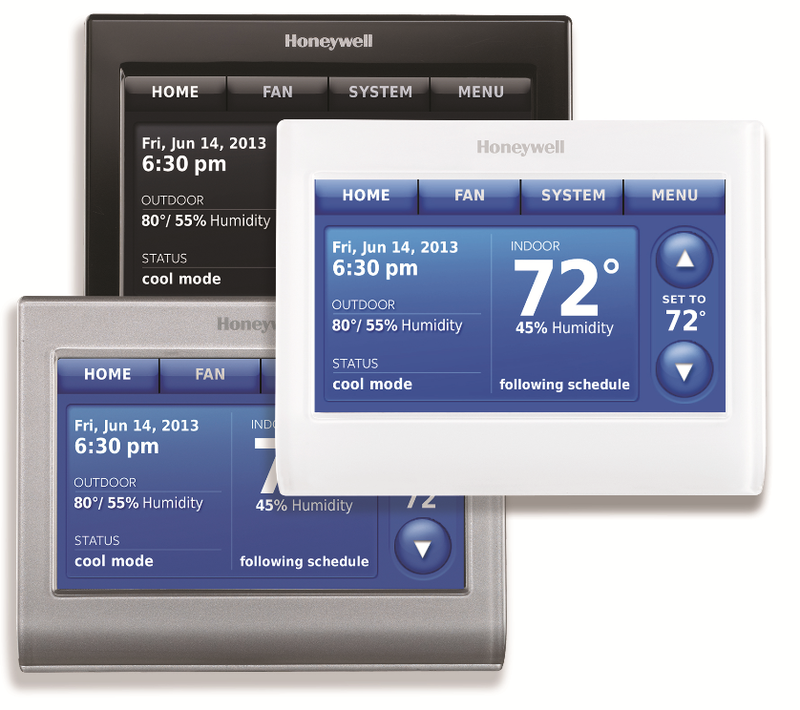 Intelligent comfort control, designed with style. 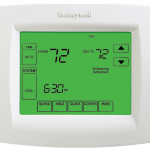 The programmable Honeywell Prestige IAQ 3.0 Thermostat takes home comfort to the next level. 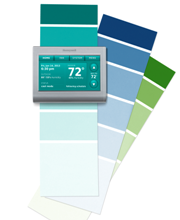 Choose from a selection of sleek frames and an infinite amount of backdrop colors to match your interior design. 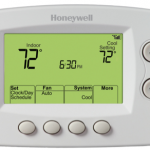 Get just the thermostat or the full Prestige kit with outdoor temperature module, and remote control. 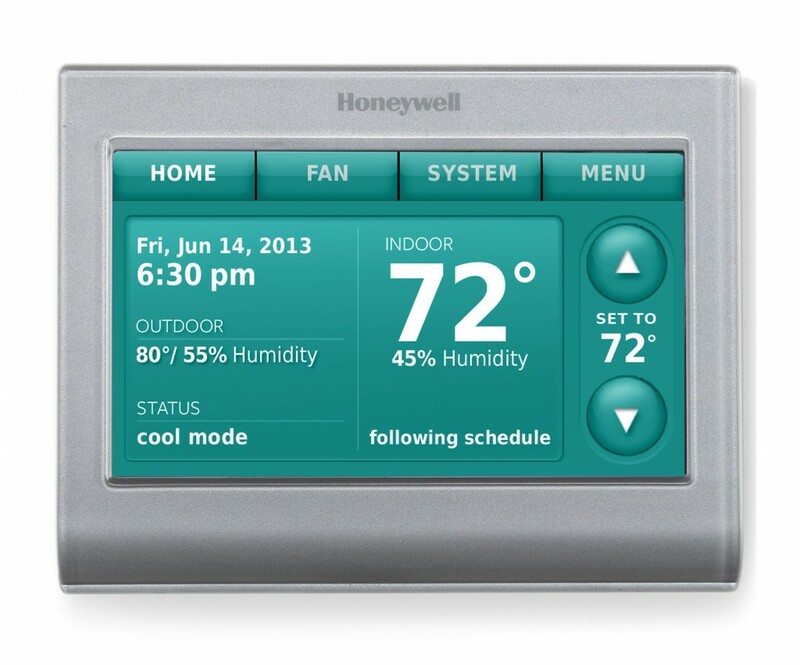 7 day programming, vacation mode, and temporary scheduling feature allow you to control comfort. 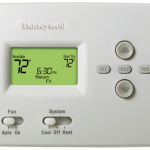 Custom Service Reminders and Smart Schedule feature programs in seconds. 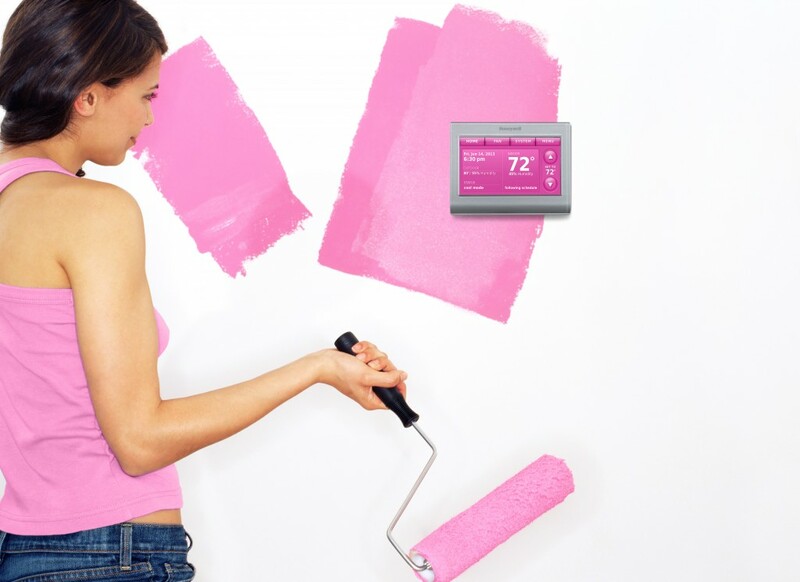 What if I paint my wall and want to change the screen color again to match it? 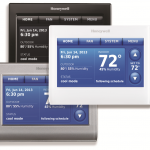 The Honeywell Prestige thermostat screen color can be changed in the settings any time. You can change the color daily if you’d like!